Towards the end of WWII, rabbi Shraga Shmuel Shnitzler, a Hungarian Chassid and Torah scholar was deported from Theresienstadt to Bergen-Belsen. Despite the horrors he continued to suffer, he always tried to encourage his fellow inmates. "A Jew and despair are contradictory in essence; they cannot co-exist," he would often tell them. 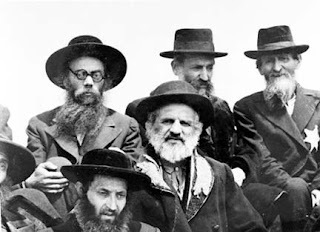 Reb Shmelke, as he was called, managed to organize a minyan for the prayer times and at night told Chassidic stories to the men in his barrack. 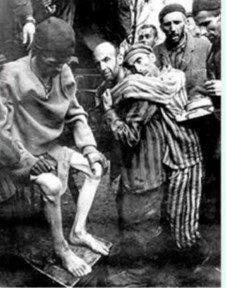 The SS assigned him the job of removing the dead bodies from inmates who had died during the night of illness and malnutrition. A few weeks before the Chanukah holiday, Reb Shmelke asked around if anybody had a bit of oil or something that could be substituted. Especially during these dark times, he wanted to light the Chanukah candles. 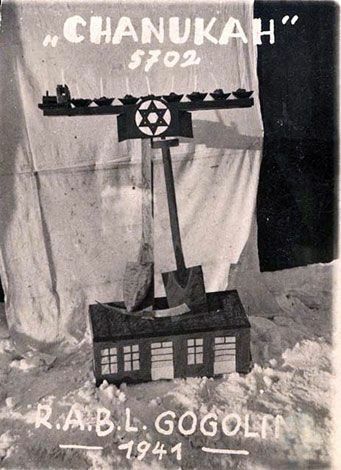 It would bring much needed encouragement and hope to the Jews in the camp. There would be light shining in the deepest darkness. They would celebrate the victory of few over many and the pure over the impure. But there was nobody who could give him some oil, not even a drop to light the first Chanukah ‘candle’ for a few seconds. On the day before Chanukah, Reb Shmelke was ordered to go to a barrack where some people had died the previous night. While walking across a field, he almost tripped when his foot got stuck in a small hole in the frozen earth. After a quick look around to make sure no Nazi guards saw him, he knelt to investigate. Inside the hole he found a jar with some liquid. Oil! Oil for Chanukah! he thought. Carefully he pulled out a package. Inside the paper wrapping were eight little cups and eight thin strands of cotton. Who buried this? he wondered. Where is he? Transported to another camp? Or did he die? Perhaps the man will come back for his hidden treasure. Reb Shmelke quickly reburied the items. It would also have been too dangerous for him to keep them in his possession. His fellow prisoners thought he had lost his mind. Nobody hid any oil or even a menorah. On the first night of Chanukah, the men in Reb Shmelke’s barrack watched as he lit the first little light and recited the blessing. There were smiles and tears, as they silently watched the tiny flame fighting its eternal battle against the surrounding darkness. The spark of hope that was kindled in their broken hearts was rekindled for eight nights. Four very long months later, Bergen-Belsen was liberated by the Allied Forces. 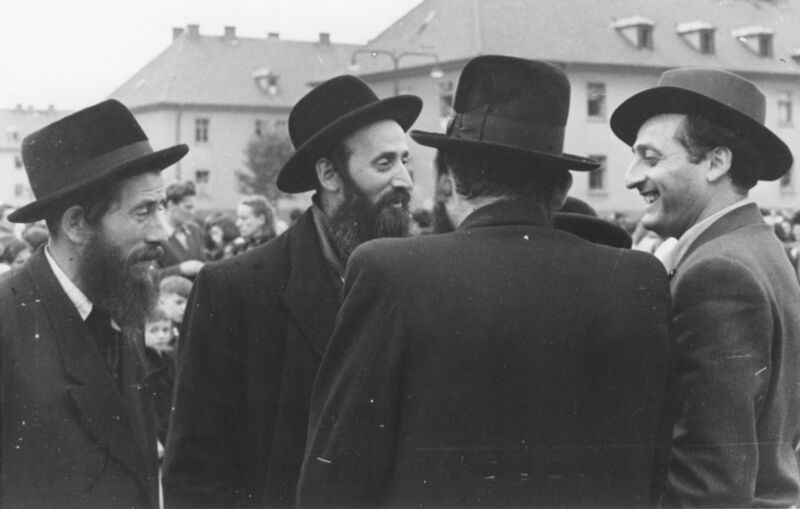 Reb Shmelke returned to a city in Hungary called “Tchabe”, where he ministered to other Holocaust survivors. 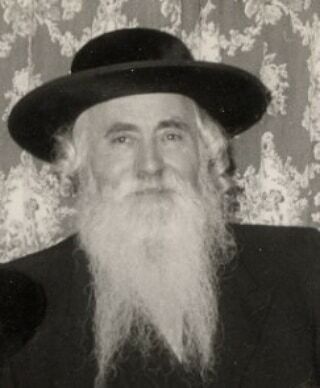 The “Tchabe Rov” eventually moved to London where he helped set up a Torah center for young scholars. In 1950 he came home to Israel, where he lived until he passed away in 1990 at the age of 90. While touring the USA, Reb Shmelke went to visit the Satmar Rebbe, Rabbi Yoel Teitelbaum, in Brooklyn. "I hear that you had the great honor of lighting Chanukah candles in Bergen-Belsen," the Satmar Rebbe said. "How does the Rebbe know that?" 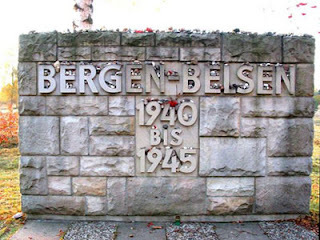 “I too was in Bergen-Belsen,” he told him. “By bribing camp officials, I managed to put together a package of oil, cups, and wicks, which I then buried in a field. I was never able to use them because I was rescued from that camp, four days before Chanukah. But you know, I always believed that it would be found by someone who would know exactly what to do with it."